Rajasthan is a place that calls me again and again. 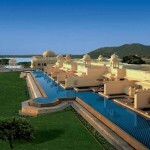 After visiting so many times to this royal land, I feel the same charm for Rajasthan. This time, we three friends were on Udaipur Trip. I with my two best buddies, Jacob and Daniel left from New Delhi. After an overnight train journey, we were finally in Rajasthan. The excitement to see the most talked about palaces, lakes and other attractions just insisted us to go out after taking rest for 2 hours only. Our tour started in the morning with the City Palace, which has a grand complex of palaces. Initiated by Rana Udai Singh, it was later added to by his children. 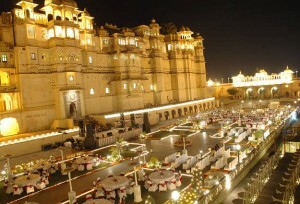 Being the largest palatial construction in the state, the palace finds its mention. The City Palace welcomes you with a magnificent facade and a captivating garden before it. No doubt, why this wonderful land boasts of its culture. 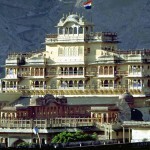 Everywhere all you can see is, the rich glimpses of Rajasthani culture that has an appealing charm. We decided to go for a boat ride to refresh ourselves. Nehru Park was the venue, at a centre of the Fateh sagar Lake. 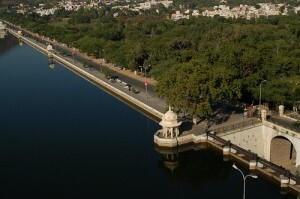 Originally built by Maharana Jai Singh in 1678 A.D, this popular lake lies in the north of Lake Pichola. Based on our experience, I can say that it is a must visit place for evening outing. Located on the banks of Fateh Sagar Lake, Saheliyon-ki-Bari is a beautiful landscaped garden, we visited in Udaipur. The guide told us that this garden was especially built for the queen and her maids. The garden is beautifully decorated with marble elephants, fountains and pools. Then we came back to the hotel and had delicious dinner. The aroma of Rajasthani food just makes you irresistible. Next morning, we visited the Jagdish temple, located at the centre of Old city. It is very near to City Palace. After visiting the temple, we went for watching the light and sound show. We bought tickets and enjoyed the really wonderful show. The day ended while sharing the memories of that day’s attractions. Next morning, we relaxed at the hotel itself. After some time, we left for Jagmandir Palace. Located in the lake Pichola, it is known for its garden courtyard. You have to buy tickets that include to and fro boat rides. The palace is on the islands in the lake Pichola. After that, we went to see the cultural show at Bagore Ki Haveli, which starts at 7 pm. 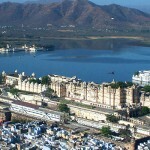 The light and sound show takes you to the world of royal era, where you get to know the history of Udaipur. If you are visiting Udaipur for the first time, the show is a must watch. I am very fond of seeing the rare collections that a museum houses. So, while in Udaipur, how could I miss the opportunity to visit the famous Pratap Museum! This is a Govt. museum that houses old sculptures and inscriptions. As we moved ahead, we came across many antique paintings of Mewar. We could also see the turban of Prince Khurram or Shah Jahan that have been displayed here. After spending that much time in Udaipur, I could realize why Udaipur is called as the ‘Venice of the East‘. Touched by the culture and heritage of Udaipur, we landed back to New Delhi!